People have been eating sweet foods for eons. Fruit (fructose), milk (lactose), cane (sucrose), and honey (fructose and glucose) provide us with energy for growth and development. But in these days, we have much more energy than we need. The United Nations estimates that we have 13,630 kilojoules available per person, per day; government bodies recommend we limit our intake to 8,700KJ per day. There’s been a lot of debate over the role sugar and its substitutes play in our diet. So let’s take a look at what’s on the market and what it all means for health. Sucrose is the most common form of sugar in Australia. It’s derived from sugar cane stalks, which are juiced, dried, and processed to become raw sugar. And then it’s refined to produce white sugar. White sugar doesn’t contain the molasses present in raw sugar, which explains its light colour. Brown sugar is, for the most part, white sugar with some molasses mixed back in. This makes it a little stickier. 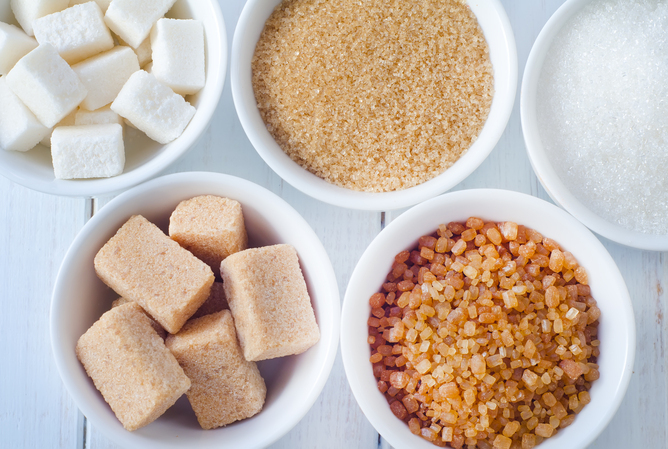 Raw sugar is the least processed of the three. But nutritionally, it’s pretty much the same as white or brown sugar. There’s been a lot of debate over the role sugar and its substitutes play in our diet. We call sugar an “empty-kilojoule” food because it’s energy dense but contains very few other nutrients. Unless you’re eating lots of food anyway, there’s no evidence that eating sugar by itself will increase your weight. But regardless of your size, eating too much sugar can be unhealthy if you use it to replace foods or drinks that have more nutrients. There’s also a strong link between sugar consumption and tooth decay, and between obesity and sugary-drink intake. Fructose is central to the sugar debate, with some suggesting it has a stronger influence in obesity than other sweeteners. This is not true; fructose is like any other sugar. In Australia, we mostly use sucrose rather than high-fructose corn syrup, which dominates in the US food supply. So the fructose from fruit, honey, and refined fructose isn’t a significant player in our weight issues. 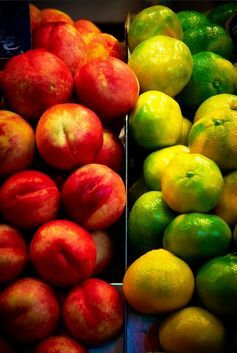 This natural sugar should be eaten in it’s original form (fruit, for example), and not in concentrated forms like juice and dried fruit if you’re watching your weight. Fructose is lower in glycaemic index (GI) than other sugars, which means it’s absorbed by your body more slowly. It’s the major source of sweetness in low GI products. Honey contains both fructose and glucose, another simple sugar that is easily absorbed by the body. In honey, the sugars remain separate, which is why it’s sweeter than table sugar (sucrose). 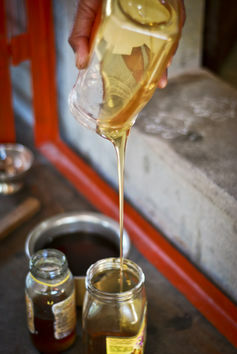 Honey and some other syrups such as agave (from a succulent plant) contain more micronutrients than sugar. But others, like rice bran syrup, have more kilojoules and a higher GI than table sugar. Although syrups contain nutrients that sugar does not, this doesn’t necessarily make them healthy – you can get these nutrients from other whole foods. Steviol glucosides are intensely sweet compounds found in a little green leaf from a shrub originating in Paraguay. After purification, the resulting powder or liquid is about 200 times sweeter than sucrose. Stevia’s main benefit is its low kilojoule content. In most stevia-based sweeteners, a teaspoon contains about four kilojoules, where the same amount of sugar has 67 kilojoules. Like all low-kilojoule sweeteners, teeth and blood sugar levels aren’t greatly negatively affected by its consumption. 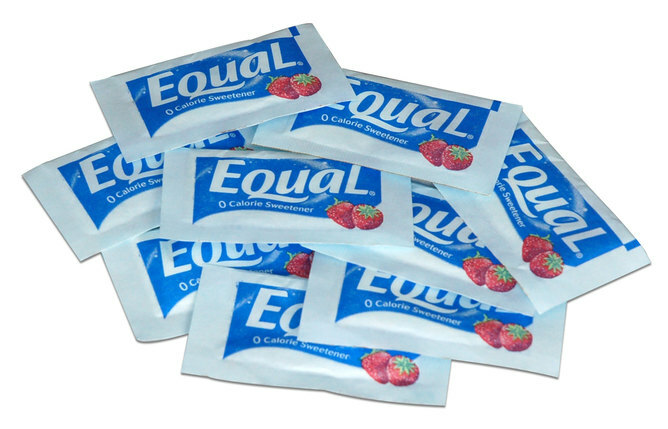 Aspartame is a key ingredient in sweeteners such as Equal. Aspartame is a non-sugar sweetener that has the ability to bind to our sweet-taste receptors. It has 200 times the sweetness of sugar, which is why we can use so little in foods or drinks to get a sweet taste. In rat studies, excess aspartame intake has been shown to cause lymphomas and leukemias. But despite scares from a series of hoaxes, consumption of the sweetener has shown to be safe for humans. Earlier this year, the European Food Safety Authority released the draft results of a comprehensive study showing that aspartame and its metabolites pose no toxicity concern for consumers at current levels of exposure, except in people who suffer from a genetic condition called phenylketonuria. Logically, if aspartame contains negligible kilojoules, people who substitute it for sugar or other non-sugar sweeteners would lose weight. Unfortunately, this isn’t true. Studies show people who consume sweeteners such as aspartame have increased appetites and tend to favour sweet foods, increasing their overall kilojoule consumption. The consumption of sweeteners such as aspartame has also been linked to metabolic syndrome and diabetes, for reasons yet to be determined. No sugar, in itself, is bad for health, but eating too much of it, like any other food, can cause problems. It’s important to not fall into the trap of eating much higher kilojoules by replacing sugar with other macronutrients such as protein or fat. You should also be wary of increasing portion sizes as a result of consuming “sugar-free” foods. Even if food packaging says “sugar free”, its overall kilojoule content may be the same if table sugar has been replaced with another kind of sugar or carbohydrate, such as syrup. A good diet centres around unprocessed foods that includes the occasional planned, discretionary treat. Instead of blindly following the latest fad, stick to sound, smart eating. Health Check: are you eating the right sorts of fibre? Health Check: how do you choose over-the-counter painkillers?